Age groups: Children in Kindergarten – 5th grade can attend. What’s Included: Morning & afternoon snack, fun gym, arts & crafts, outside play, gym games, & movie time. Payments can be made over the phone or at the front desk. 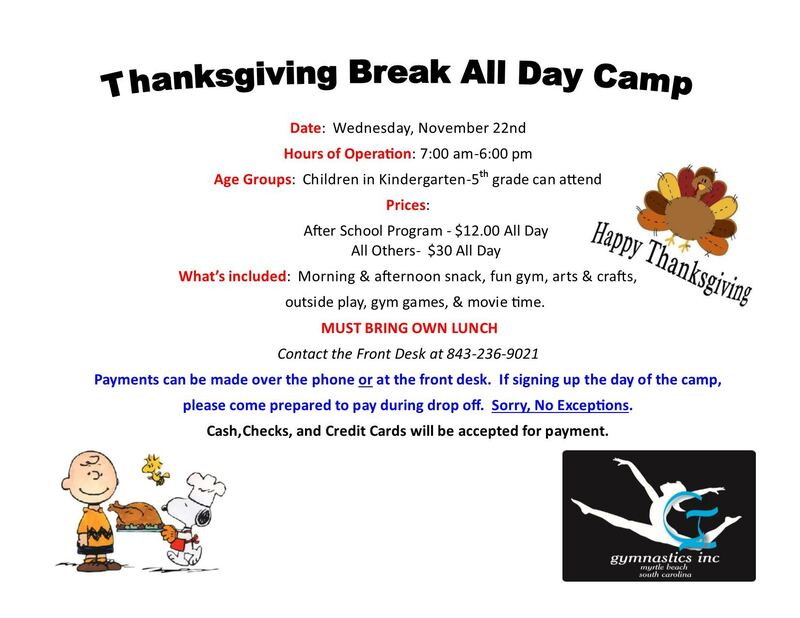 If signing up the day of camp, please come prepared to pay during drop off. Sorry, No Exceptions. Cash, Checks, & Credit Cards will be accepted for payment.